In the wake of the recession, food poverty and the rising number of foodbanks in the UK have frequently been in the headlines. At the other end of the spectrum, another nutrition-related issue that tends to be picked up on regularly by the media is child obesity. However, in a report released to coincide with their annual conference in May of this year, the National Association of Head Teachers (NAHT) called attention to a concern that has not been as headline-grabbing: schools are now providing a great deal of welfare support to pupils that goes above and beyond their usual remit, including teachers bringing in food from home for pupils who have been sent to school hungry. 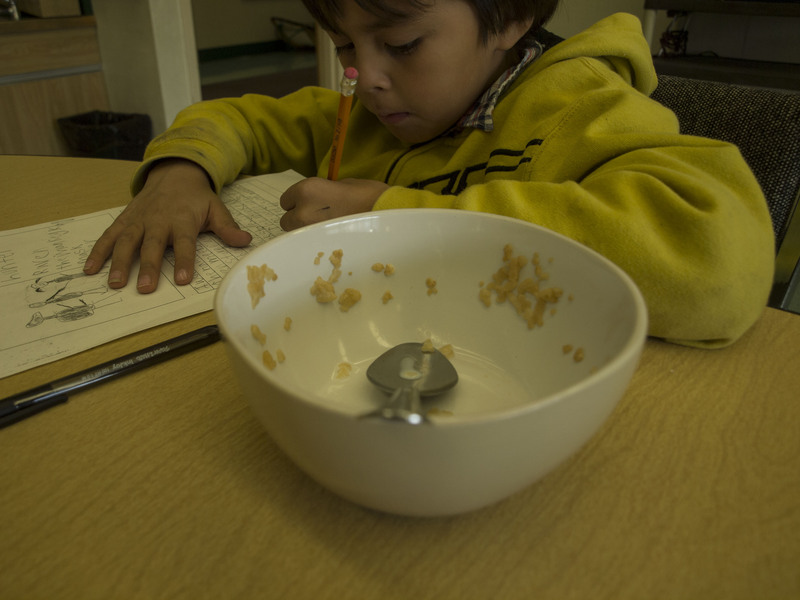 if a child arrives at school hungry, teachers estimated that they would lose an hour of learning time that day; for those that come to school without breakfast once a week, this equates to 8.4 weeks of learning time (70% of a term) over the course of their entire primary school career. The findings of a literature review, published in the journal Frontiers in Human Neuroscience in 2013, of the effects that eating breakfast has on children’s behaviour and academic performance indicated a “mainly positive effect of breakfast on on-task behaviour in the classroom” and highlighted evidence that frequent breakfast consumption had a positive effect on children’s academic performance, with the clearest effects seen on mathematic and arithmetic grades. The review also noted the positive influence of school-based breakfast initiatives, more commonly known as ‘breakfast clubs’. As well as carrying out research on the impact of breakfast clubs, Kellogg’s operates a support network for schools to run clubs, offering grants and training materials. According to the company, 69% of the teachers they surveyed in 2013 said that running a breakfast club had had a positive impact on their ability to teach their class. This sentiment is echoed by the School Food Trust, whose review of the impact of primary school breakfast clubs in deprived areas of London found that the average Key Stage 2 results of pupils in 13 primary schools were significantly higher a year after the introduction of the initiative. In North Lanarkshire, one primary school’s award-winning breakfast club has demonstrated the educational benefits of having children at school early, well-fed and ready to learn. While other studies of the impact of school-based breakfast initiatives have found less definitive evidence of their impact on children’s academic performance, their positive effect on pupils’ attendance and punctuality is noted, which can be no bad thing for their academic potential. The Education Endowment Fund is currently undertaking a randomised control trial of school breakfast provision involving 36,000 pupils in 200 schools across England. The study aims to look at impact on attainment and cost-effectiveness of different models, and the evaluation report is due to be published in 2016. Understanding the impact of nutrition on children’s outcomes is crucial if the government is to provide additional support to local authorities whose schools are providing breakfast clubs for their pupils. Although support is available from companies like Kellogg’s and Greggs, as well as charitable organisations, these are often competitive grants-based schemes, with application processes that only place further pressure on already overstretched teachers and schools. And in the face of ongoing cuts to local authority funding, many are echoing the call of the NAHT for the government to do more to support schools to cope with the consequences of the austerity agenda, as well as make the improvements that are being demanded of them. The Idox Information Service can give you access to a wealth of further information on educational attainment – to find out more on how to become a member, contact us.